ConnectSolutions has achieved Service Organization Control 2 Type II certification for its internal data security controls and practices after a services and systems evaluation by auditing company Armanino. SOC-II works to validate the compliance of the company’s commercial cloud with the American Institute of Certified Public Accountants’ Trust Services Principles and Criteria for policies, communications, procedures and monitoring, ConnectSolutions said Tuesday. CEO Glen Vondrick said the certification supports the company’s efforts to ensure security of customer data on the CoSo Cloud Managed Service platform and with virtual training and collaborative web conferencing. 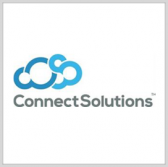 ConnectSolutions is a provider of private managed cloud services and is also certified under the Federal Risk and Authorization Management Program for moderate impact level. The company’s services for government and military customers include the Private Cloud for Adobe Connect and are designed to facilitate crisis communications and training.